HOW MUCH DID YOU REALLY CONTRIBUTE ON THIS? Award winning work brings notoriety to both the individuals that worked on the projects and both the agencies they work for. It’s the shiny object on the shelf that makes clients think you know what you’re doing. If you have both big name clients and big awards, you’re a big deal. All too many times though, I’ve met creatives who’s books look good, they have some awards and then I come to find out they barely were a part in the projects that won. Or maybe they just were in the room and took some credit, because once they are given a project to take leadership of, it’s a scary sight. I’ve always aspired to do work that is both smart/attention getting which is achieved by creativity/a smart strategy and also that looks on point in terms of aesthetics/style. When that all combines it’s great work that get’s noticed and probably will snag some awards along the way. 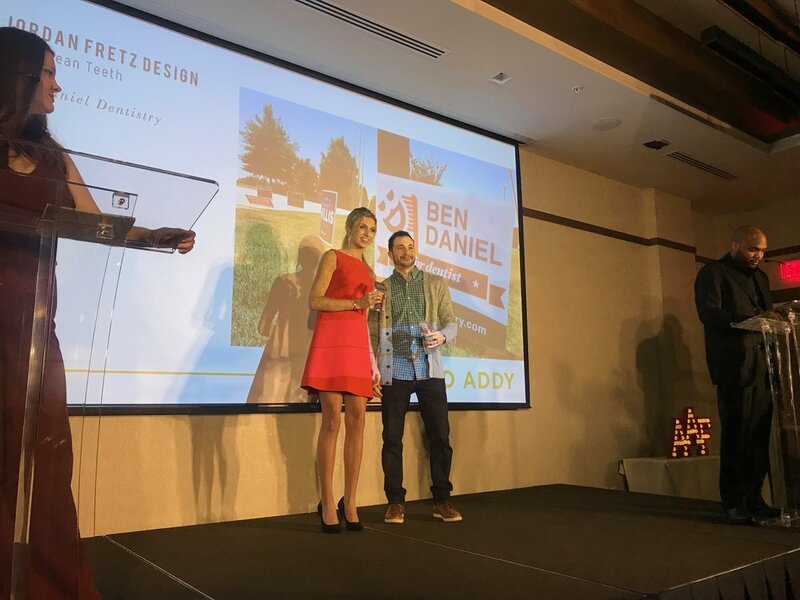 In that goal of great work within the agency world, i’ve been fortunate enough to be recognized in some competitions both nationally and locally. One of those has been the American Advertising Awards. This year due to an agency move, a lot of unsold really creative stuff and of course all the chaos/crazy deadlines our agency didn't enter. Not a big deal, we’ve been successful in showing our creative thinking in the past and already have a good relationship with local universities for scooping up the young talent and they take some time to enter (it was chaos at entry time, straight chaos). 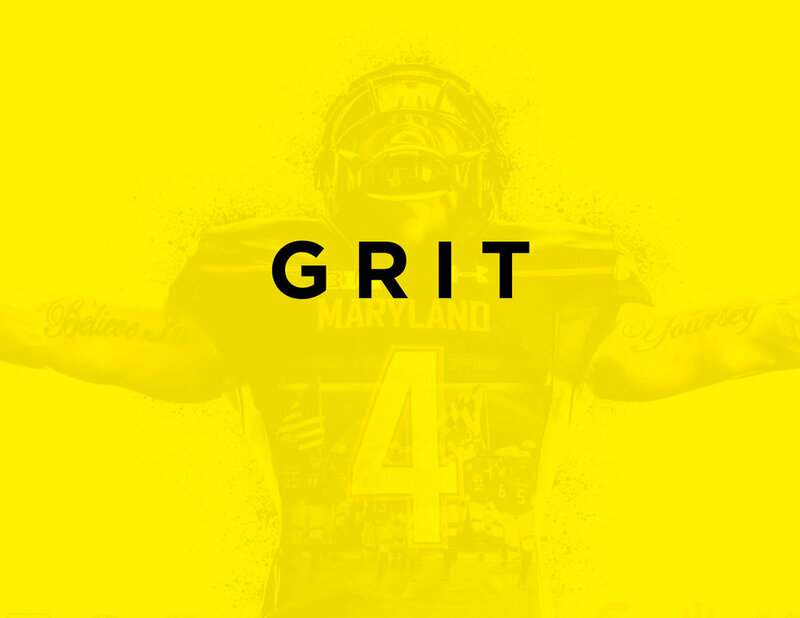 I’ve often thought of entering myself as Jordan Fretz Design since my freelance business has been growing, but didn’t think it would benefit me much overall. I’ve entered other competitions that we typically wouldn’t enter as an agency before, but the Addy’s seemed more like a local agency thing and less of a one man shop thing. This year my thoughts changed a bit, I had a few successful projects, but maybe none more than my work for Ben Daniel Dentistry. I was going to talk about all what I do for him, but I may do that later since this is already way to wordy and I’ve already lost everyone who started reading. 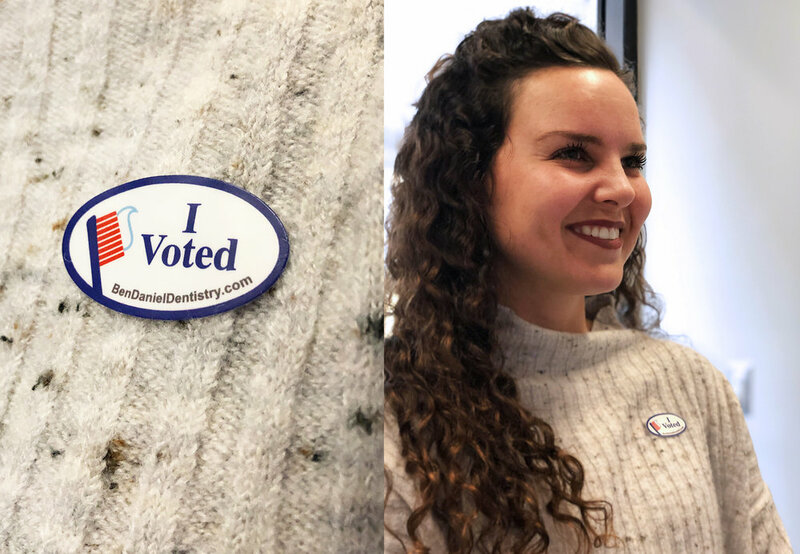 Anyway, I don’t want to go into too much detail on the work itself since I already posted that on a blog you can scroll down to see, but I had a simple disruptive idea during primary voting time to promote his dentistry in the midst of all the political signage. The signs were standing all down Woodruff road by his office and the backup of traffic there made them easily visible (even if your texting while driving :). The campaign brought in more than ten new patients when first setup and just last week they had four more patients credit the campaign I was told. Anyway, such a successful campaign with a simple idea made a good entry I thought for the Addy’s. Sure, I had a few more impressive design projects I did on the side, but as far as ideas and execution with results, this took the cake. Excited to see that a simple idea and execution could compete with some massive budgets and brands also represented there like Denny’s, grocery chains, automotive brands etc. The award was exciting for both myself and my client while also validating some of my work for them. Also, while i love collaboration, if someone asks “How much did you contribute on this?”, I can say “Everything!” I even proofed the thing by myself (scary thought if you have read any of these blogs). The campaign entry will go on to regional competition and I just got the opportunity to give some added client support with strategy and branding in an effort to expand the client’s practice in the near future. When stuff gets really busy for a creative, sometimes rest doesn’t come in resting. For myself, I’ve learned when everything hits at once (as it always does) the most re-energizing thing to do is to make a few minutes time to create something fun/creative/worthless. Many times the work isn’t always glamorous too, tradeshow layouts, data books, presentations etc. may be more client directed and include a lot of loading time. So doing something creative in among the more objective “do it this way” work really keeps the creative batteries fresh. For some reason creative sparks creativity and I’ve see that in looking through a CA magazine, watching some spots featured on Ad Week or talking with other creatives. I’ve noticed when I start on a “just because” new idea (however insignificant and simple) and I flex those creative muscles that may be a little stiff or tight, It gives a satisfaction and spurs more creative thought. Brainstorming with coworkers does something similar, everyone starts throwing out ridiculous thoughts, bad ideas, good ideas and all of a sudden something builds to form a direction that may work. It’s amazing how a bad idea or even joke tossed into the mix, sparks something. Anyway, below are some of my insignificant interactive drawings and creative doodles that sparked some creativity for me during busy times. 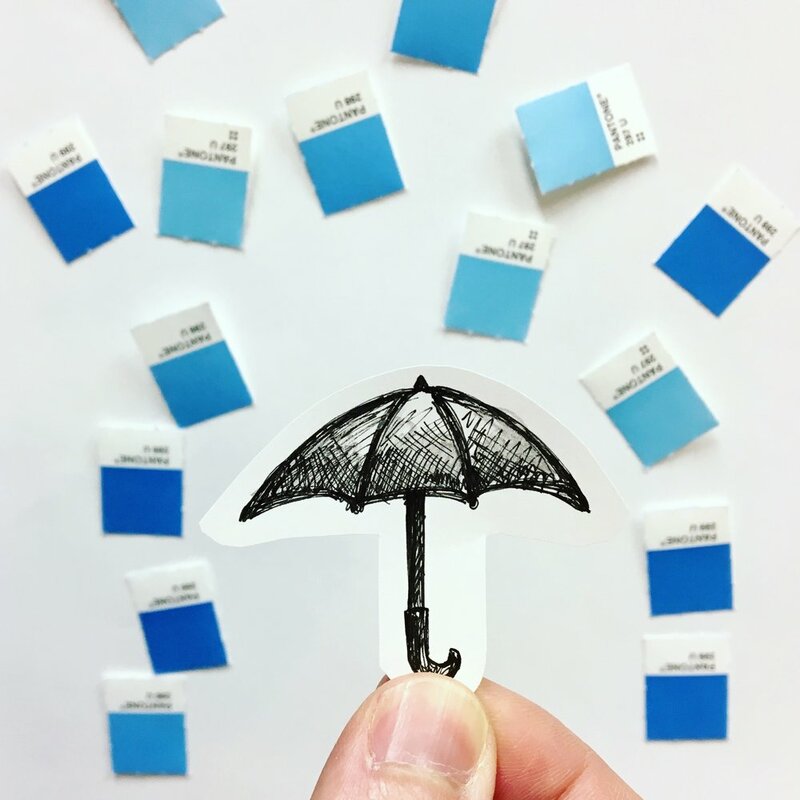 I used Pantone swatches that were by my desk, snacks/ peelings from snacks and the back of a ceiling tile after I was leaving my office. I want to do more drawings like the Santa sketch that replaces the long scroll of the naughty/nice list with something even longer, THE CVS RECEIPTS. I got one that week that was insane, folded like 5 times to fit into the bag! Anyway, I’ll be doing more once I get a break or just stay busy and need that creative fix during lunch. I get asked to work on all sorts of identity projects. 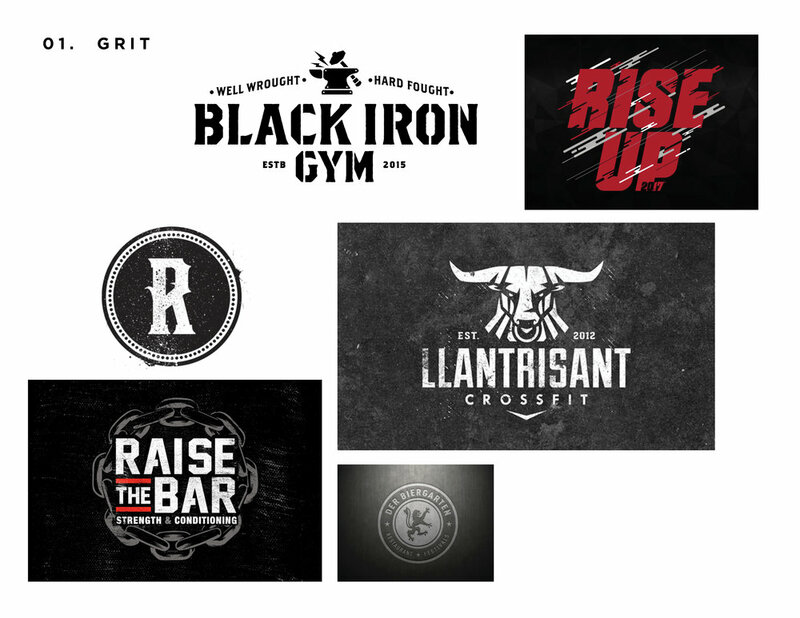 Some may be rebrands or refreshes of existing companies, others could be upstarts looking to invest in their look/feel or even projects where I’m putting a look together to add credibility to a presentation for gaining investors. 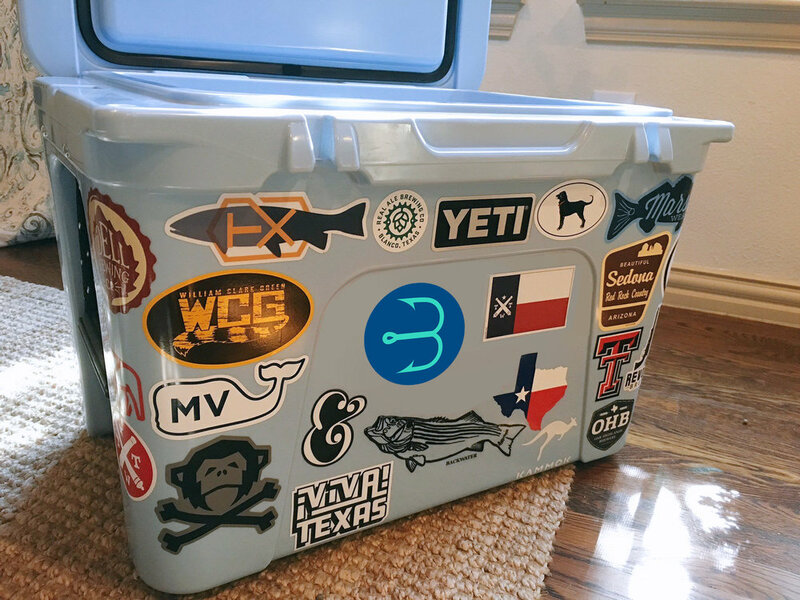 This project was an exploration for a business that may include purchasing already existing, established brands and re-naming or even starting from the ground up with finding the right distribution channels and building something new. Either way, the project had a budget, and I was hired to start creating various looks/feels! I typically wouldn’t show all the unsold, unfinished work, but I pulled most all of my thoughts together for this post to give a little added insight into this project. At the top of this post I show the final outcome, a simple “B” formed from a hook and a bit of serif type. 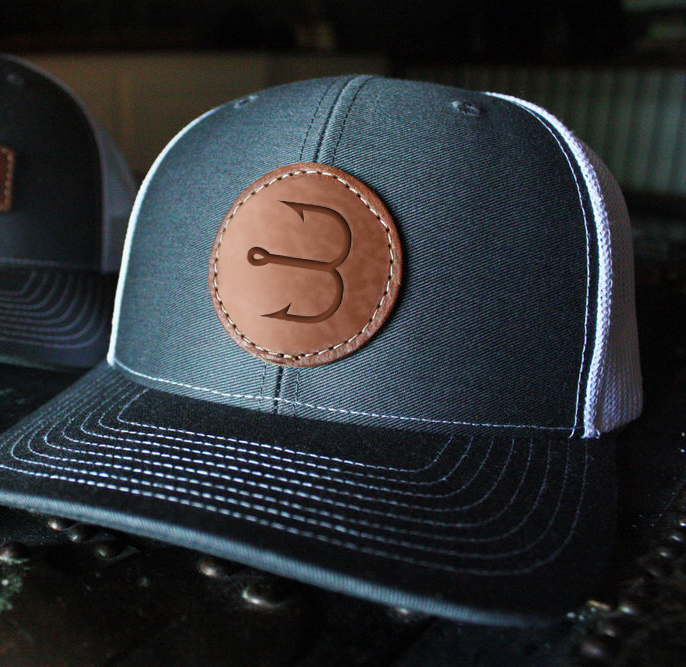 I felt for the style we wanted, the serifs added an established feel that worked well with the fishing theme. Since this was an apparel business, I also looked at developing secondary marks for women’s, children’s and specialty men’s product lines. This idea resonated well with the client and gives a lot of flexibility in branding going forward. This also would require more funding and somewhat of a challenge in making sure each of the lines are linked back to Blue Water Inc. 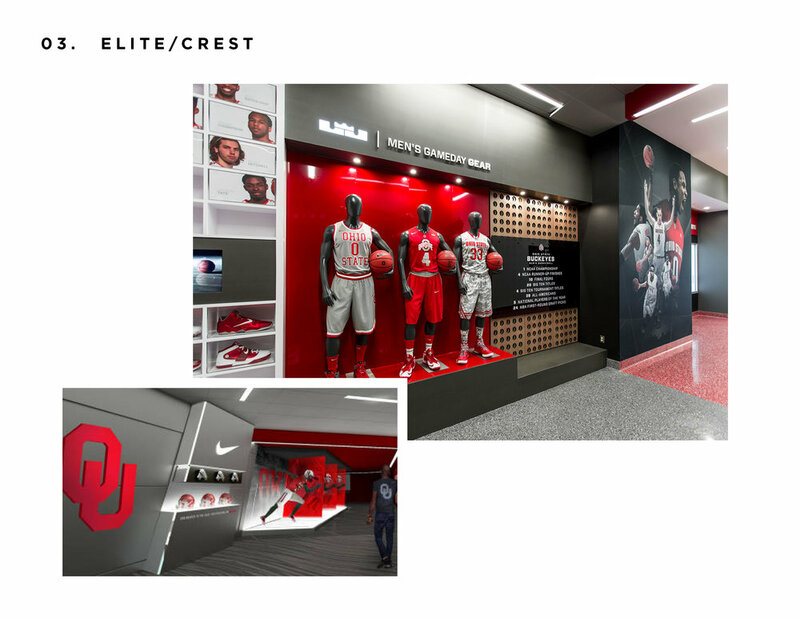 I used low res imagery for quick mockups to show some of the designs in an environment when talking over layouts. 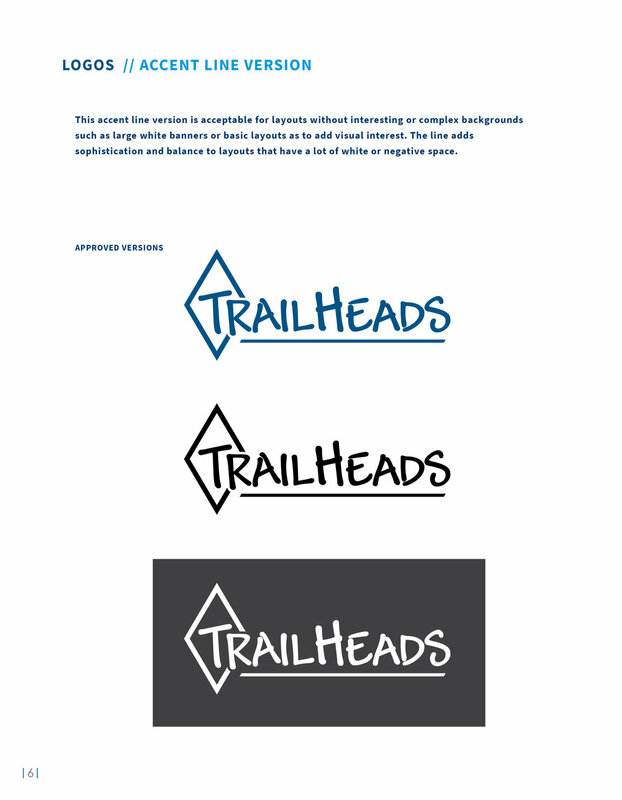 These mockups wouldn’t be used public facing in branding as I pulled all of them from google images, but just give a quick glimpse as to the style each brand mark could fit within. It’s always such a fun process to see how sketches come to life in black and white vector pieces, the vectors then change into color selection and final versioning until finally really coming to life in realistic mockups. 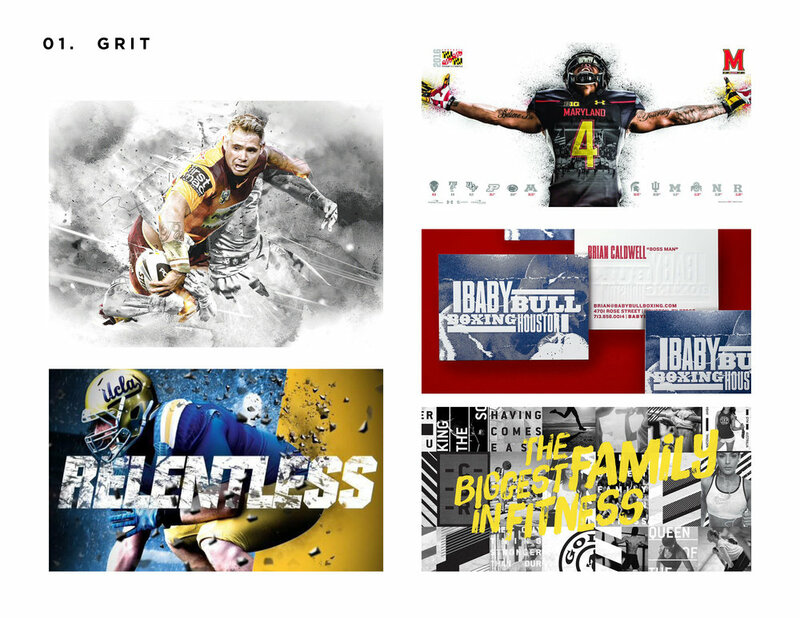 I know some designers dislike a project where the intent is more exploratory than starting with an organized brief and sourcing paper samples for use etc., but there is something amazing about being given free reign to explore a brands direction and see where the concepts lead. In the end, the client was excited about the look and I was compensated to design/create which is my favorite thing to do! Got a fun opportunity to work with local artist Jared Emerson on a few layout designs for hand painting Carson Wentz’ cleats. Carson’s foundation needed to be prominently included and they wanted to add a verse reference with Jared’s artwork. I created mockups showing various layout designs/content arrangement that would give some different looks and feels before Jared got to painting. It’s pretty amazing that he hand paints multiple pairs of cleats with covering all the nooks and crannies created by the textures. 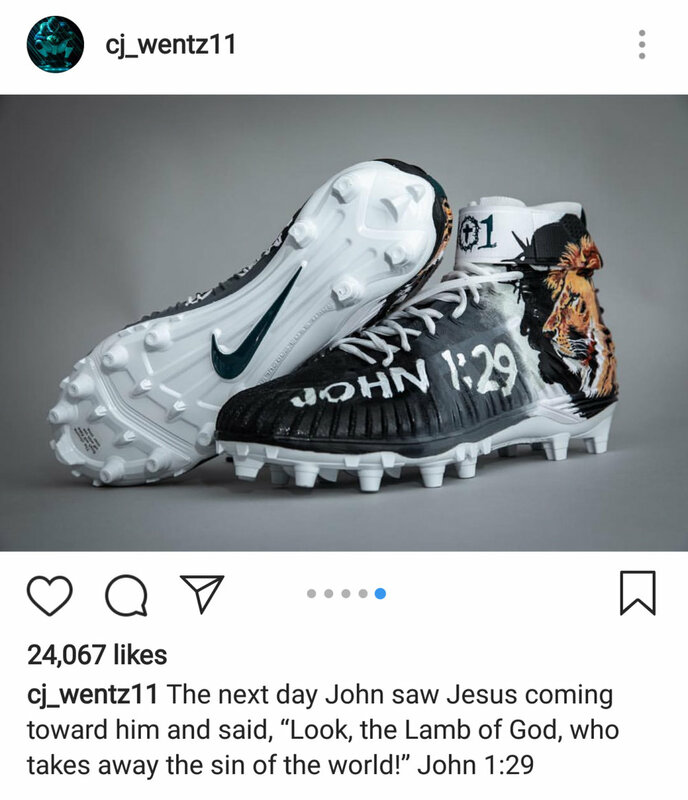 Anyway, Jared did a great job on painting the final cleats and it was fun to see multiple players wearing them on the field. I’m thankful for clients who know it’s not as simple as tweaking a few letters and calling it a day. 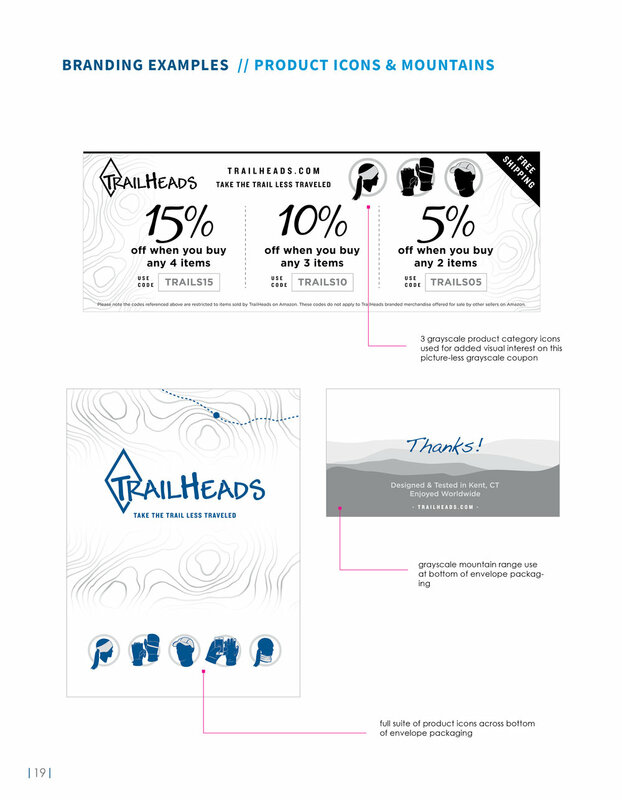 Trailheads has been a client of mine for a few years now. They are great to work with and even greater people on top of that. They first reached out to me after seeing one of my badge designs and hoping I could help them on a hang tag layout. 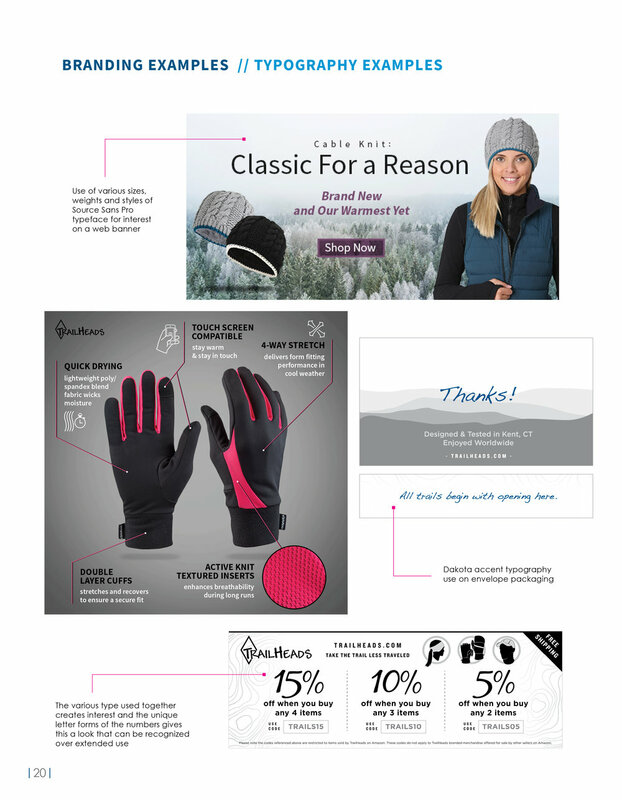 I did the layouts, added some overall branding suggestions and somehow that turned into helping them redesign all their product branding on their Amazon store. It’s been fun to hear how the focus on imagery and design has really upped their sales through Amazon and I always appreciate them keeping me in the loop with future project discussion etc. 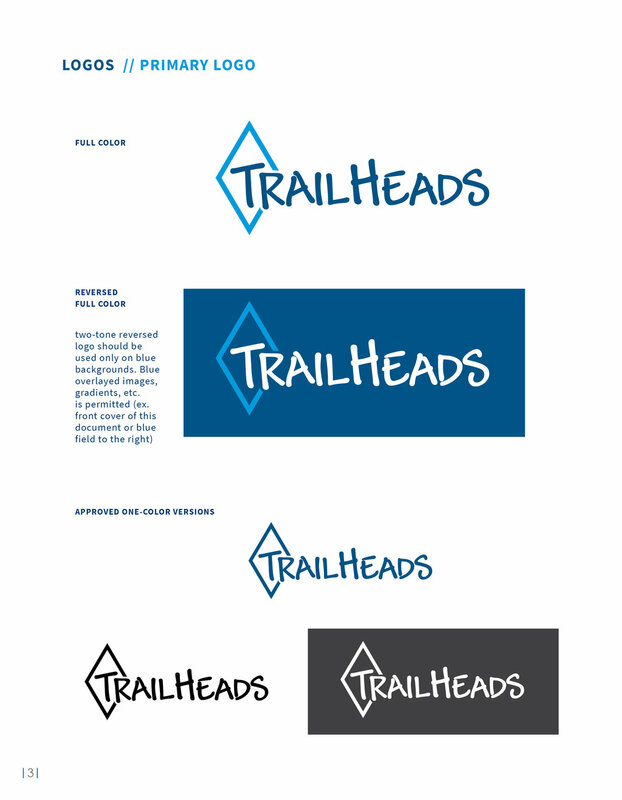 Earlier this year Trailheads recruited me to help with some new headers and imagery for their new website. As most people are aware, creating a new website takes a lot of time and resources. That made for the perfect time to refresh the logo, update colors and give a bit of direction. Since I was familiar with their logo from so many previous projects, I knew quite a few changes to suggest right away. 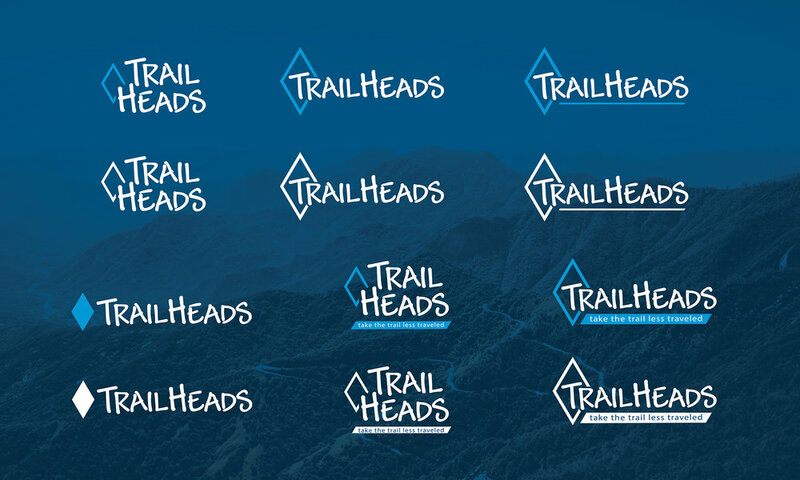 These changes would make the logo simpler, a bit more streamlined after taking out a few kinks/bumps and more current without losing the brand equity they established (especially in the women’s trail running space). Here you can see a before and after of the work I did. I evened out the line weight, centered the diamond more with the “T” in the middle and adjusted some spacing. One thing I like to do also with a handwritten logo is tweak letters that are the same since the style is handwritten it only makes sense that they wouldn't be exactly the same. In this case the “A” letters were tweaked ever so slightly. 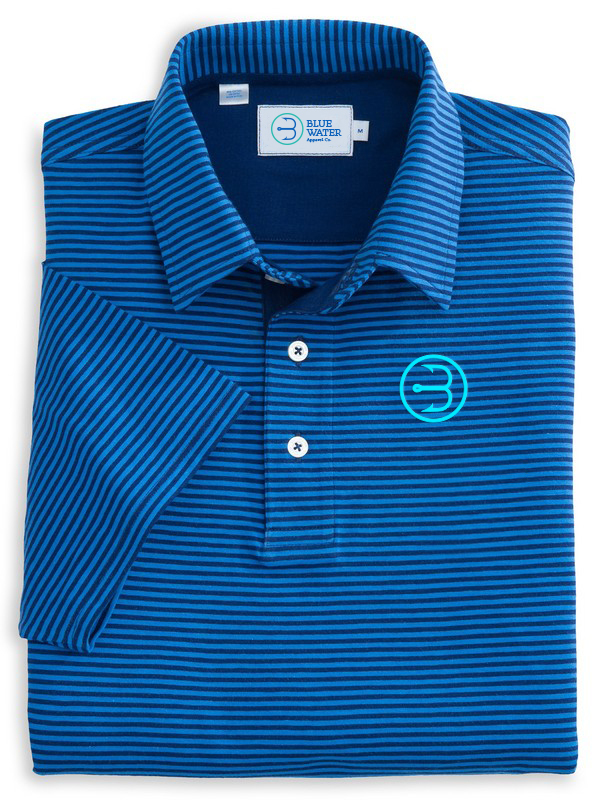 I also used a two-tone color scheme with a bright lighter blue for contrast. After looking at the logo and discussion over usage on profile images, hangtags, small ponytail holders, etc. I also created a stacked logo version. This would be very useful for square shapes and profiles the logo may need to live in. With so many printing methods and embroidery included, we also had variations on the logo created with taglines, separate diamond shapes, etc. 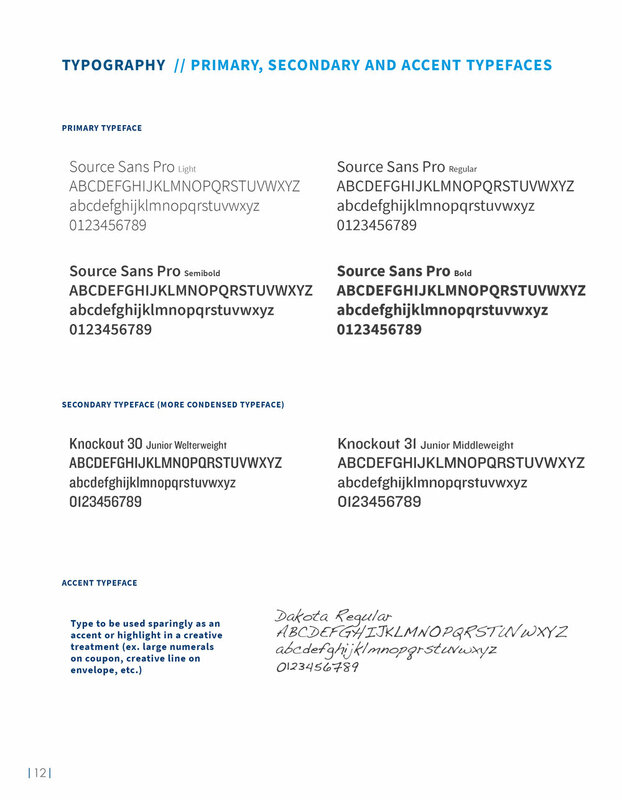 all with a purpose to improve legibility or solve a problem on certain materials. 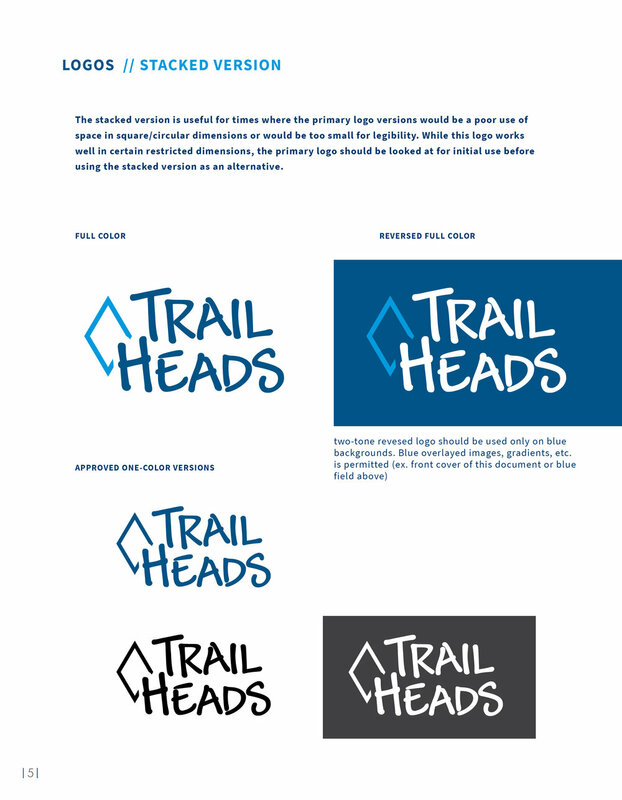 Key branding elements were also updated with the new color scheme and tweaked where needed to fit the new direction. 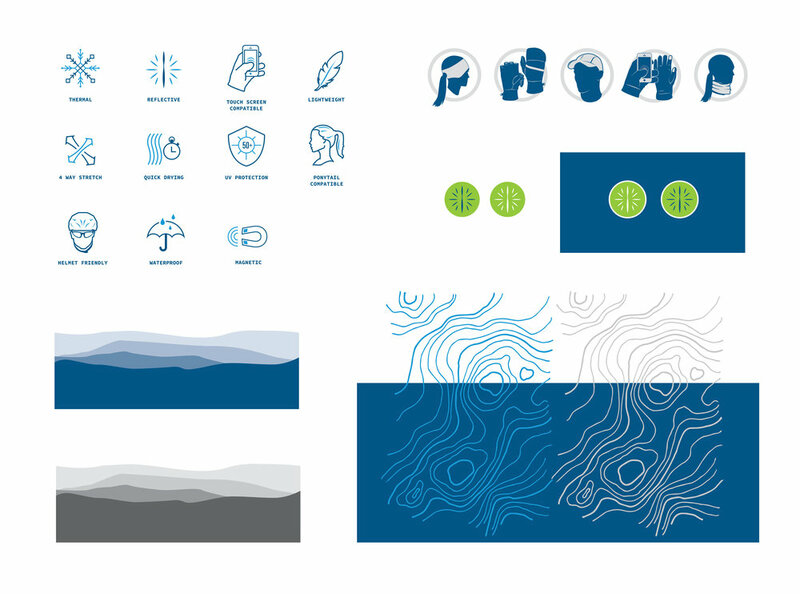 These represent just a few elements used in branding and sometime I will do a post showing more vector illustration work and icons done for Trailheads. A “TH” symbol was also created for favicon use and other very small space needs. 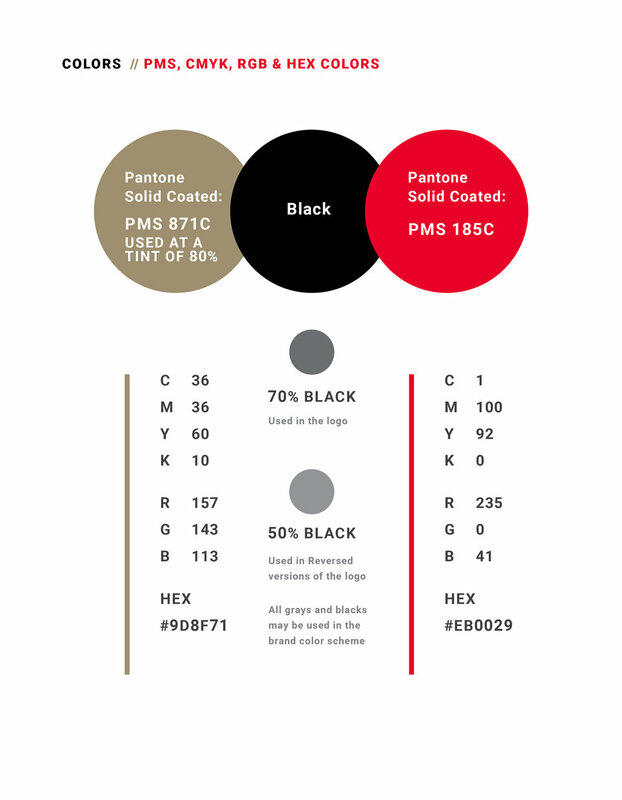 Below is the brand guidelines that were designed to provide direction with the new website and future projects. This was one of the larger brand guidelines I’ve done recently, so I removed some pages as to not make you scroll for a decade. I made it an interactive pdf with each section navigation being a live button and making it easier to navigate. 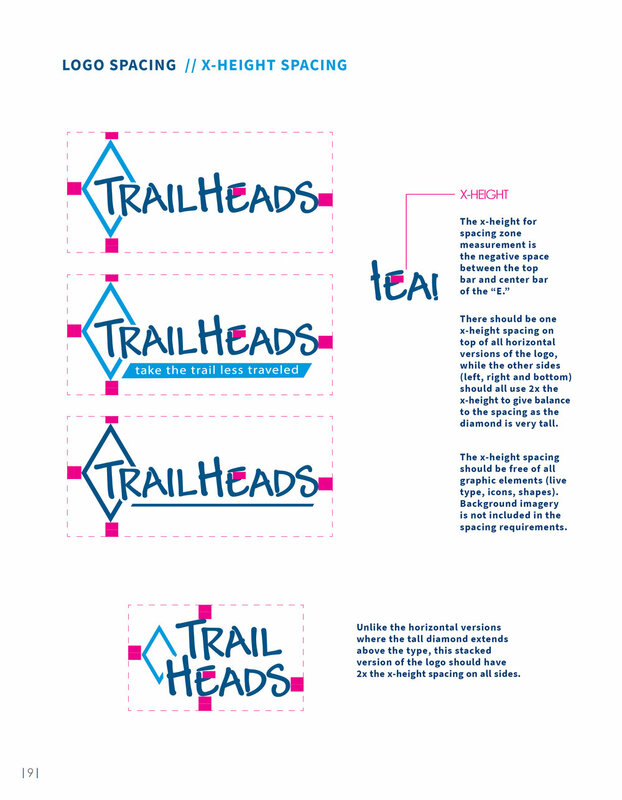 The document talks everything from spacing, to color profiles, typography direction and branding examples. 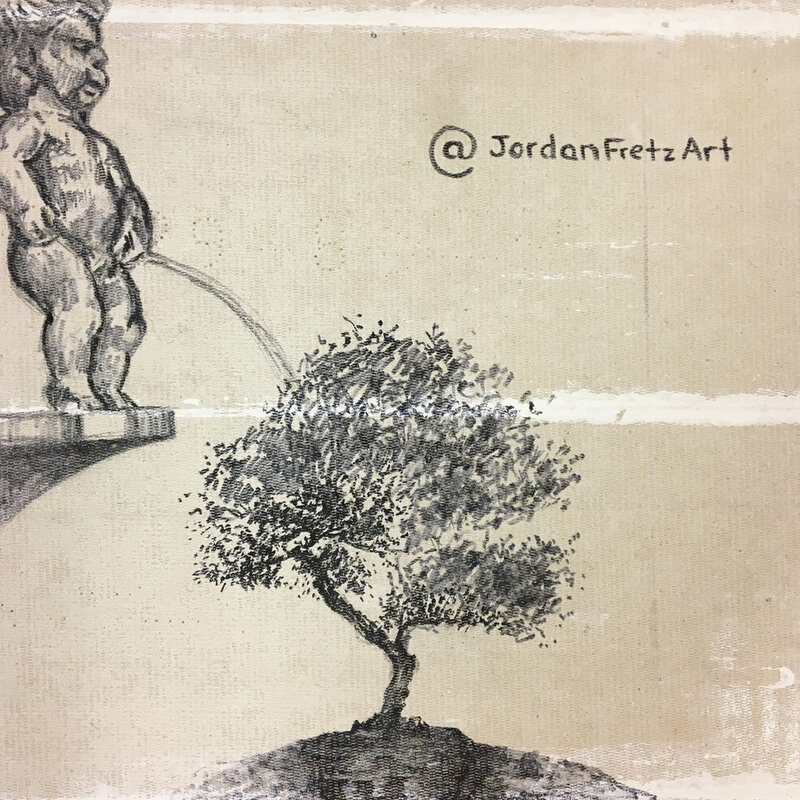 Well my art show went well and while I’m not going to go into a lot of detail on the mediums I used or talk through everything I did (for that go follow my instagram @jordanfretzart), but I did want to show some pics and a few stories. Art has always been a way to relax for me. I have a huge passion for logo/identity design, branding and advertising, but at the end of the day sometimes it’s just nice to get off the computer and create. I draw with charcoal pencils on salvaged cardboard, I use watercolor paper for ink wash paintings and even did some metallic washes on antique piano scrolls. Sure I did some oil paintings, but I love doing art you may not typically see and I have fun doing quick creative drawings for Instagram when I can too. I never planned on doing shows or selling off prints. That being said, I hope to teach Sawyer to take some risks, chances and just try stuff. This for me has been me trying stuff, taking a stab at doing something different and it’s been really rewarding. My goal was to relax and find rest in creating with something other than pixels, but that changed a bit after talking with Dan Lyles. Daniel and I have known each other for years before we got a chance to work together in the agency world. I like his entrepreneurial spirit and his appreciation for all things creative or inspired. One thing about the agency I am at, Jackson Marketing, is they are encouraging with our side passion projects as well. I had done a couple pieces for charity auctions in the past and Daniel ran his first local art auction with myself included as an artist. It was a fun event and I sold some canvas prints. My next step up into the art world was in our agencies gallery. 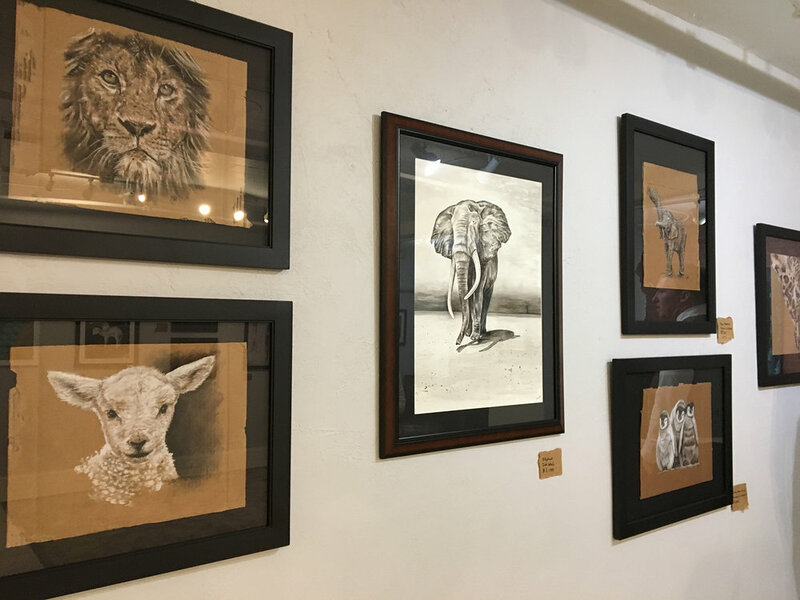 Jackson has a small gallery space for 14 pieces or so when you walk into the agency and I’d always thought it would be cool to show my work there. Well, after some drawings, paintings and a lot of scavenged cardboard, I had my work up in January of 2018. Coworkers and even some visiting clients all gave positive remarks and I was excited just to have some people appreciate the work. Fast forward to September and Dan got the opportunity to have a space in downtown Greenville off Main Street. The space is down stairs right off the street and has space for 50 or so pieces. I helped by designing the logo for the Gallery. The “L” in the negative space was simple and the inspiration was a frame going on a piece of art. When Dan talked to me about being a featured artist, I have to admit I was pumped, but nervous to get everything done. Thanks to an amazing wife and a son who sat with me many times I was painting/drawing, it all came together. I didn't want it to be like most of the other artists shows Daniel may have there or that are showing at other galleries, so we did a few fun things. We used pieces of cardboard for pricing, the titles of the works were funny/different and the most expensive piece in the show was a coffee cup sleeve. Where most artists will have their signature on the wall, mine was on a piece of cardboard and my artist statement was shredded as a nod to Banksy. Who reads the full statement anyway? 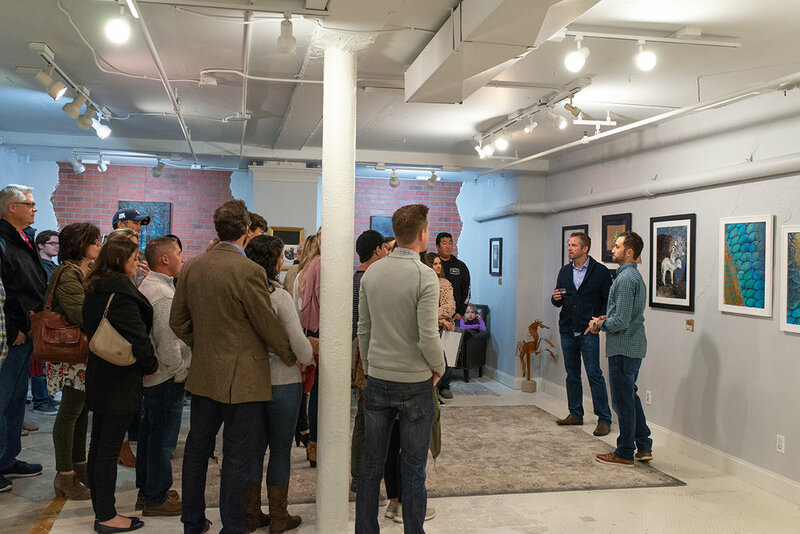 See some of the pieces in the show and a few pictures from the event below. I included some captions throughout. Currently Dan is getting spot lights and various artists/mediums hanging in this front, window space. Some of the signage for the show posted around our offices and locally. This painting started off with an orange sky and a swordfish. I didn’t like it and ended up painting over it all. I like to tell people there is a fish under the water. It’s true a fish really is under there, a stupid swordfish! Talking inspiration for pieces in the show and some info on the gallery. Sawyer even picked out a name out of the box for someone to win a small original! The inspiration of this piece was while hunting. Many times I almost wish a deer into existence walking in the trees. This one has a hazy tan figure moving in the bottom. Is it a deer or just imagination. 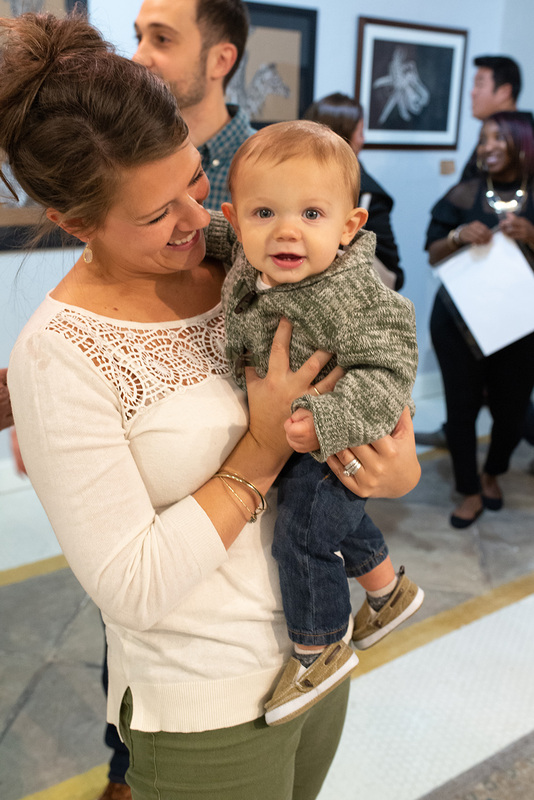 Little guy made it through the whole show. The last cardboard piece finished before the show. Fish scales done in metallic ink wash.
Maybe my favorite thing about the show ended up seeing people reading the Anatomical posters and smiling at the callouts. I will have pieces up at the Dan Lyles Gallery throughout the year and hope to cycle more pieces in and out as time permits. Go check out the gallery: 123 S Main St Unit B, Greenville, SC 29601 opened from 10am-4pm weekdays and Saturdays. 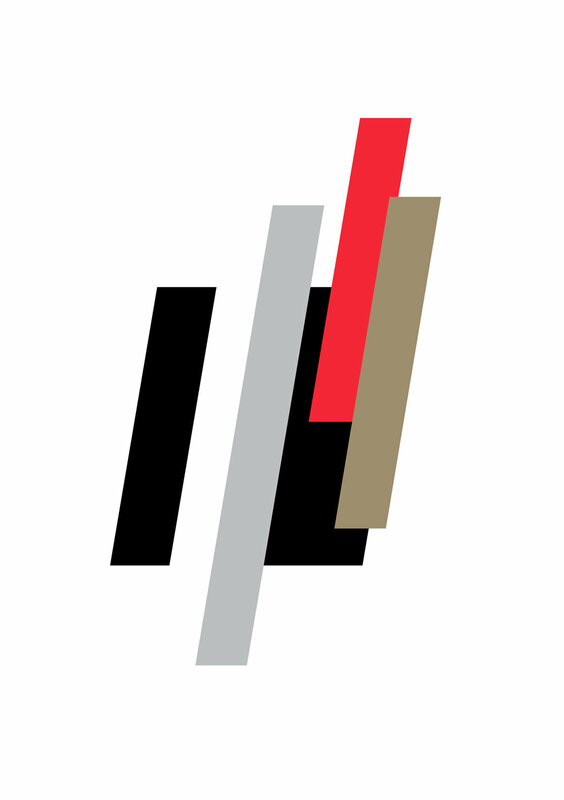 Check out the site that is ever evolving at danlylesgallery.com.